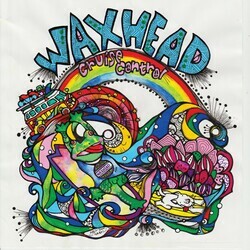 Waxhead is four mates born & raised by the beach side. Dreamers of the Byron hinterland air, all these lads want to do is travel the world and play music. Ever stubbed your toe while attempting to look suave in front of your lover? Well worry no more, allow Waxhead to put your feet up and massage the sore bunions and have everyone out there feeling alright. Alright? Luca Brasi are a melodic punk rock band from St Helens, Tasmania. Signed to Poison City Records. Their shows are normally very loud, sweaty and involve lots of crowd participation. Very catchy melodic rock song referencing the novel Catch 22. Sydney space cadet Miles Devine has put together a dream-pop team to fly into Earth's atmosphere and blend up a concoction of hip-hop, psych and Motown in their space kitchen. Out of Sight is about losing hope for a relationship, about the insecurities it can give you and how eventually you gotta disappear. Sage (21) makes hip-hop that brings the 90s into the 21st century. Singing, rapping and producing, his music integrates lyrical depth with popular intent. Friend or Foe deliberates the push and pull factors of friendships. It blends the ecstasy with the let downs in an experience that forces the listener into decisions. The dynamic between Sage and Elephant Man juxtapose the types of ways friends enjoy company, with Sonia to add a feminine touch. In a hidden pocket of smokescreen and haze lies Aquila Young. Cast in deep shadows with an alluring presence, the artist echoes the past in a nostalgic escape. Stagger is a song about escapism. It is about running from danger and the chaos of fleeing from harm’s way. Sometimes you stumble, sometimes you stagger, sometimes you fall. We all fall down. 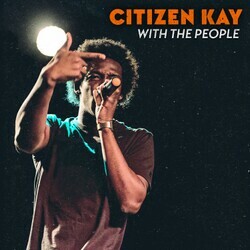 Citizen Kayʼs motivations and insights add depth to his words and music, making him one of the most exciting new hip-hop artists to emerge in recent years. Reflective rhymes with infectious chorus sitting on a juicy slab of soulful funk led by driving keys and punctuating sax. Heralded as Australia’s very own answer to Dr Dre, Mailer Daemon’s alternative Hip Hop, post-Trap, Grime sound has been described as dreamy rap, shoegaze beats, bass punk, and dream step. Famed author Omar Musa showcases his rap skills with Mailer on this cyberpunk post grime banger, they talk about cyber realities and their alienation. The epic production and hooky toplines bring the digital themes to cinematic life in this post trap pixelated action adventure. Gay Pars is a rock n roll band that only writes heavy songs. Remarks from the abject woodland of the soul. Seductive verses cajole thundering choruses that break tender love over an anthemic crescendo. Please, do not feed the bears. 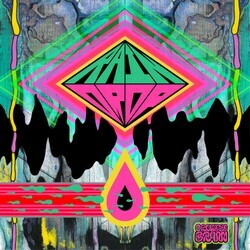 Solo artist, left of centre rock pop music with a slightly psychedelic bent. Pastoral psych folk, acoustic driven but at times bombastic. Sporting a heavy grimey bassline, groovy trap drums, and hypnotic melodys. Full of bravado, Mailer rides the groove with his ‘future’ type flow, repeating the hook with his ‘too-cool-for-school’ style. Sage switches things with his lyrical and cadence, providing an uplifting counter-point from the dark corners of this brooding beat. Warren Abela AKA Waza is a Sydney based Beat Maker, producing a fusionof Hip Hop & Jazz instrumentals. Tell Me How is pure auditory sunshine, settled in Waza’s trademark groove of seamlessly blending organic human emotion with a keen ear for the technical. Taking its cue from vintage Daft Punk and Parliament-Funkadelic, Tell Me How is a brass-infused shot of liquid gold. Gay Paris is a Rock n Roll band that only writes heavy songs. Just under three minutes rock n' roll philosophy, high literature, languages (and an explanation as to why none of this matters) combined with raucous drums and bloodletting riffs that guarantee more than a nod from the unhallowed Lover downstairs (we're talking about Satan). Endless Heights are five friends from Sydney with a new EP titled 'Teach You How To Leave'. They've toured with Basement, Superheaven, Northlane, Break Even, In Hearts Wake and more. A heavy rock song with dreamy vocals. Vagabond is a song about being rebellious, defiant and resistant. It's about hearing the call of the wild and responding in instinctive desire. Let the vagabond stride the earth far and wide traveling deep into the wild. She Rex have been a project for the past 4 years. Combining Hip Hop, rock, electronica and Indie-Pop, 4 girls from Sydney have created a sound like no other. 'This Way' is an anthemic ode to your inner self, acknowledging that when we are children, we are born with a knowing and presentness that is important, although as we progress in life a lot of us lose that spark. It's about never growing up and fusing with society's norms. Alternative rock hoodlums from Sydney delivering freshly baked rock music. Heavy rock ‘n’ roll with a contagious chorus and guitar hooks you’ll want to rock to. Track influences include Band of Skulls and The Dead Weather. Maids are a not-so-normal bunch of best friends who blend pop melodies with punk music to bridge the gap between indie rock and heavy rock. “Happy Here Right Now” combines interesting pop melodies and quirky guitar lines with pounding drums and thick distorted guitars. On top of this cleverly developed instrumental style, is a lyric that strikes true with anyone that needs a little reminder that life is short and being happy rules. Adelaide Based Psych Rock band Glass Skies write tripped out songs about the Good Times. Acid-fuelled love song that continues to bounce along in your mind. Collaboration with King Gizzard and The Lizard Wizard singer Stu Mackenzie. 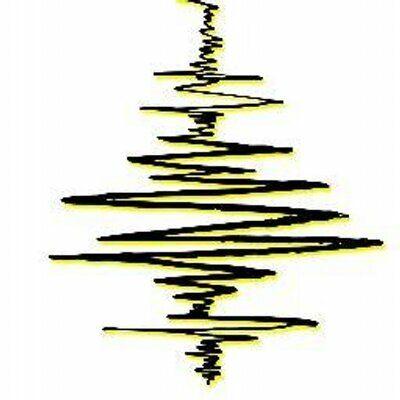 Listened to in stereo, you hear their collaborative efforts. Panned to the left, a solo Davey Lane version of the song is revealed, and in turn, panned to the right, you hear Mackenzie’s, both in mono (hence “Duo-Monophonic”). iOTA’s first album in 9 years. Multi-award winning musician, actor & performer. Starring in The Great Gatsby, Mad Max & B-Girl. Written while on set filming Mad Max Fury Road.